Read what the celebrities are reading! Join our newest book club! 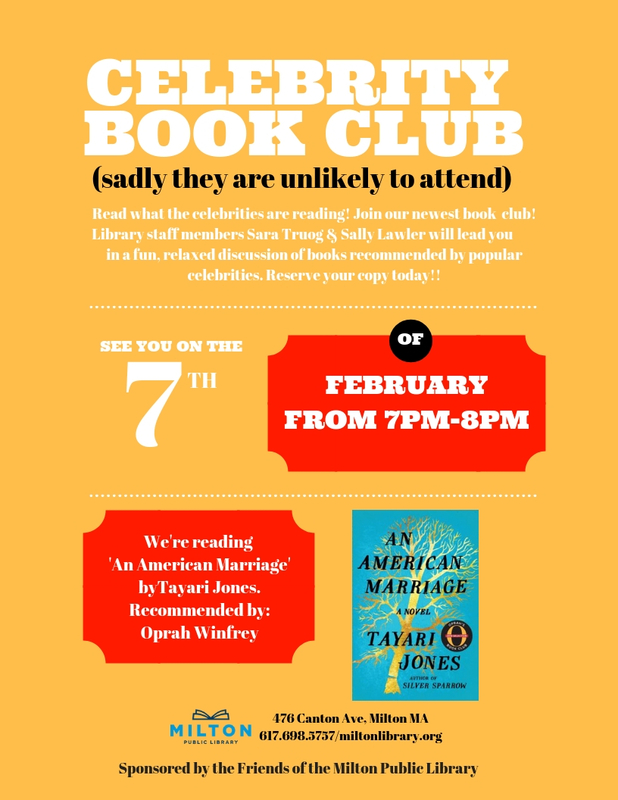 Library staff members Sara Truog and Sally Lawler will lead you in a fun, relaxed discussion of book recommended by popular celebrities (note: they are unlikely to attend our meetings). This program is kindly sponsored by the Friends of the Milton Public Library.